I just love this painting. It has such a feeling of movement and grace. The colors are also one of my favorites. In trying to pick which elements that I wanted to concentrate on, I kept coming back to the gorgeous blue-green of the front dancer's dresses. I also wanted to make a choker because some of the dancers are wearing them. 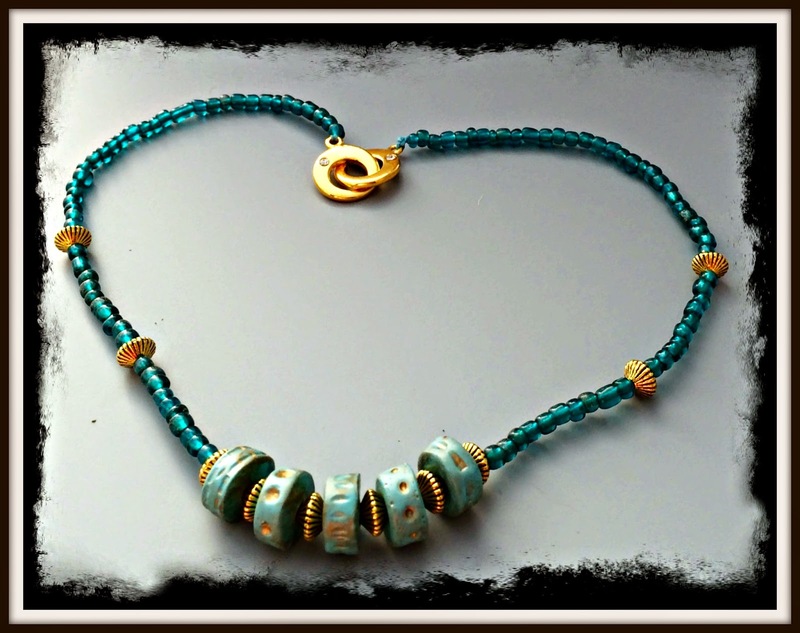 This necklace features polymer beads by Kristi Bowman Design along with some golden pewter beads and seed beads. It is very lightweight and comfortable to wear. I do try to participate in the Art Bead Scene's monthly challenges. They have forced me to see color and designs in everything around me including art. If you make jewerly and are looking for a way to push yourself then join in! For further info click here. I admit I hadn't noticed the chokers on the dancers til you mentioned them, Shai :) I love how both the shapes and the colours you chose are reflecting the painting... looks awesome! Great job Shai. I like that color too. 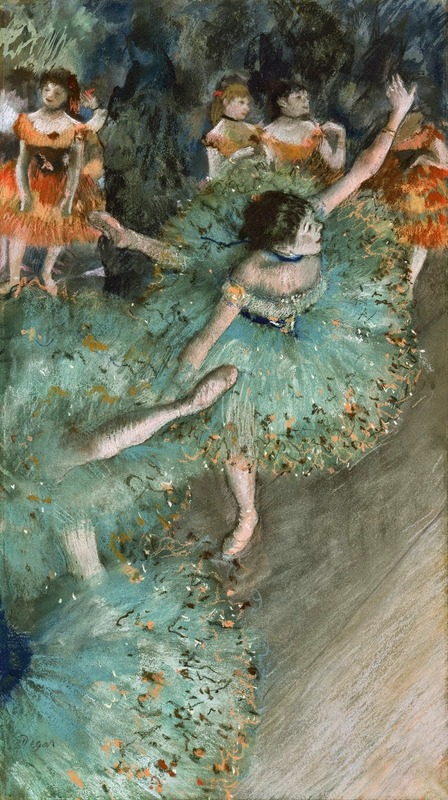 Your shapes and colors suit this Degas perfectly.